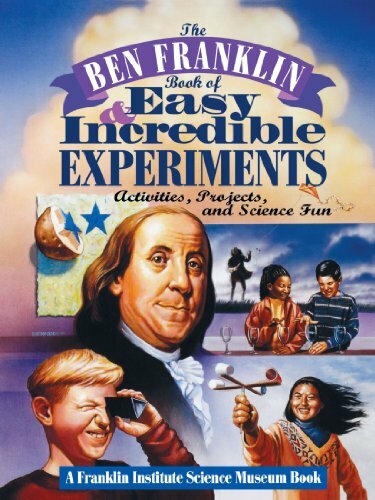 Learn about science the same way Ben Franklin did--by performing incredible experiments! Ben Franklin, the famous patriot and signer of the Declaration of Independence, was also America's first great scientist. At a time when science was a mystery to most people, he performed incredible experiments that revealed amazing facts about light, heat, sound, electricity, the weather, and other aspects of the natural world. The Franklin Institute Science Museum was built in 1934 in Ben Franklin's hometown of Philadelphia, Pennsylvania. The first hands-on science museum ever, it offers people a chance to learn about science by experimenting with hundreds of exhibits, including a 20-foot model of the human heart, a 350-ton steam locomotive, and a working weather station.